Vaduz is said to be cited in the historic 12th century manuscripts as Farduzes. However, it is commonly believed that it must have been founded in circa1322 by the Counts of Werdenberg, the county of the Holy Roman Empire located on either side of the Rhine of what is now St. Gallen in Switzerland, Liechtenstein and Vorarlberg in Austria. Vaduz was sacked by the Swiss in 1499 during the Swabian War and the entire town was reportedly destroyed. Because Vaduz is very small, walking around the city and its surrounding areas will not take very long. Vaduz City has a lively tourism industry, despite being one of the very few capital cities in the world without an airport or a railway station. A short walk up to the Castle which hangs above Vaduz will give you excellent views of Vaduz and the surrounding areas. The path is a gentle walk up to the side of the wooded hill that emerges at the side entrance to the Castle. Also a short walk to the river will give visitors un-obstructed, un-matched views of the surrounding mountains of the city. An old covered weathered wooden bridge which spans the River Rhine is an interesting way to cross the border between Liechtenstein and Switzerland. It only accommodates foot and bicycle traffic only. Award-winning wines and unbelievable hospitality make this a wine tasting experience you'll never forget. Signs around the vineyard describe how the grapes go from vine to wine. Wines from Liechtenstein make princely perfect gifts. The wine cellars are located in Vaduz, Liechtenstein's capital and are open Mondays through Saturdays. For lovers of literature, the opportunity to walk in a beloved author's footsteps is the next best thing to paradise. “Visiting Vaduz with Goethe” is an experience trail taking participants on a voyage through art, culture, architecture, gastronomy and history. Johann Wolfgang von Goethe, the German poet, novelist, dramatist, scientist, humanist, painter, and theorist, spent two June nights in 1788 in Vaduz. The walk is open daily and lasts about 2 ½ hours. Participants should wear comfortable shoes. Find information at the bus terminal or tourist office in Vaduz. The most notable landmark of Vaduz is the Vaduz Castle, named after the city of Vaduz, a palace and official residence of the Prince of Liechtenstein. The earliest mention of the castle can be found in the document of Count Rudolf von Werdenberg-Sargans pledging to sale it to Ulrich von Matsch. The one-time owners and also presumably the builders were the counts of Werdenberg-Sargans. The castle keep (12th century) and parts of the eastern side are the oldest of the complex. 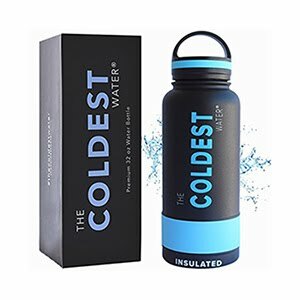 The tower stands on 12 x 13 meters piece of ground with a wall thickness at its base of up to 4 meters. The original entrance is found on the courtyard side with a height of 11 meters. The Chapel of St. Anna was probably established in the Middle Ages. The main altar is late Gothic. In the Swabian War of 1499, the Swiss completely destroyed Castle. The round tower was constructed from 1529 to 1532 while the western side was expanded by Count Kaspar von Hohenems (1613 – 1640). 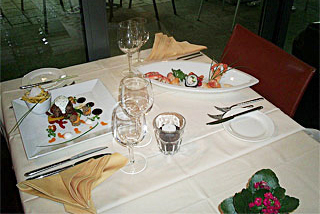 Top ranked restaurants in Vaduz. One Michelin star, two toques from Gault Millau and numerous awards from Gourmet magazines. Whether a festive menu or stylish business lunch, Hubertus Real and his culinary team produce unique delicacies, inspired by nature and the season. What you definitively shouldn't miss: the Sonnenhof chocolate collection "Princely Chocolate"
Renowned for its gastronomy, the gourmet restaurant residence with his high-ranking international kitchen offers the customers a wide range of regional flavours and international specialties. The chef invites you to sample his refined cuisine which combines tradition and modernity with delicacies. In the summer months you will enjoy our shady, flowery terrace and our sommelier will be delighted to help you choose from our extensive wine list. If you're coming by rail from Switzerland, it may be quicker and cheaper to take the train as far as Sargans (rather than Buchs), from where it's possible to catch a bus (see below) straight to Vaduz. Consult the SBB timetable  to find out what'll be quickest when you're travelling. There are lockers at the Sargans station so you can leave your luggage there. The link  provides a plan of the station showing the lockers and where to catch the bus from. 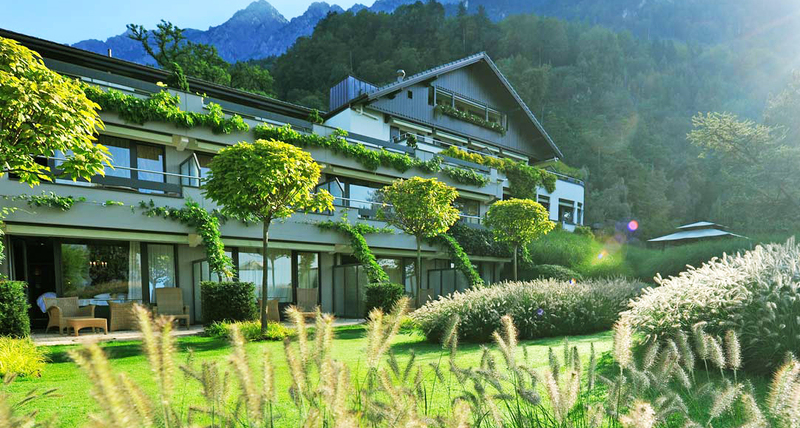 The Park Hotel Sonnenhof in Vaduz, the capital of the Principality of Liechtenstein, invites you to enjoy a romantic stay, relaxing days and an inspiring weekend. The Relais & Châteaux Hotel at the heart of the German speaking four country region fulfils all the preconditions for an insider tip - but that it's no secret. It enjoys an excellent reputation which goes far beyond the nation's borders. The large park offers a beautiful view onto the Alps, the Rhine valley, the castle of Vaduz and the nearby vineyards. The interior of the rooms is unconventional and extravagantly arranged. Every room and suite is individually designed and each has its own unique charm. The very beautiful oriental swimming pool is a delight both during the day and in the evening (award-winning and distinguished) and our creative cuisine shall delight and enthral you. A very warm welcome to the Sonnenhof, the epicentre of Europe in the heart of Liechtenstein. The 4-star Residence hotel was built in 2003. 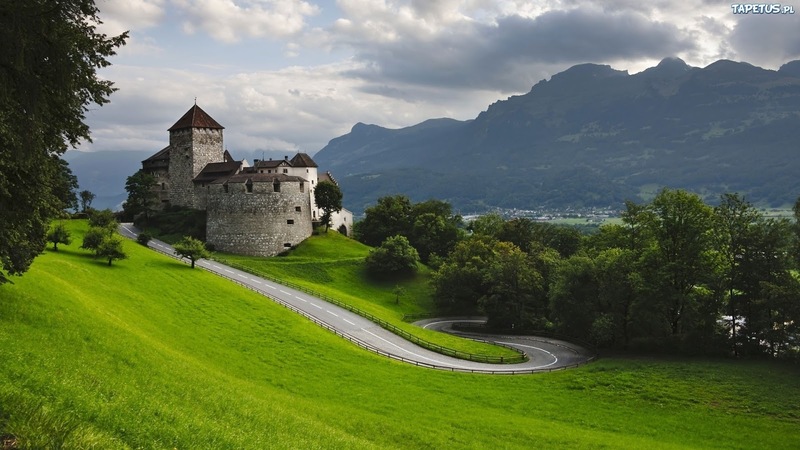 Take advantage of the benefits of modern technology and professional business service for a short-or long-term stay in and around Liechtenstein. Choose between four categories of rooms spread over 29 rooms, as well as two conference rooms. For culinary adventures, the Residence restaurant, a coffee bar and the Blue Lounge Bar presents Liechtenstein ensure you can buy at the gift shop. We would like to proudly welcome you to the Landhaus am Giessen. Winter Sports Hotels abound, but the Landhaus am Giessen is a great choice to fulfill all of your needs and expectations. Book with us and find out! Our comfy hotel has been awarded 3 stars (mid-class). There are lots of parking spaces for our hotel clientele. A jacuzzi and sauna are ideal when seeking serenity in the hotel. Our helpful staff looks forward to your stay with us! Vaduz, a dynamic city rich in contrast and colour has something to offer to every touring visitors. 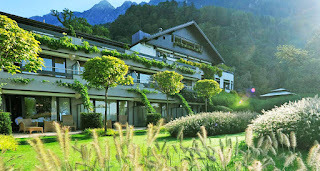 There are several vacation rentals in Vaduz City starting at US $66 per night, specifically the Meierhof, 1 mile from Vaduz with 1 Bedroom, 1 Bathroom, Sleeps 2.